I bought this cause it was the cheapest and I wanted to whiten my teeth.. It took about a week for it to get noticeable white. They aren't pearly white, but it looked like a more natural color. I don't know if it was just my teeth personally but it burned when I had to let it sit on for a few minutes. My dentist said my gums needed to breath. They were starting to get damaged. Also, even with my teeth dry the strips started to slide around. Especially the bottom row. 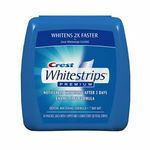 If you need a quick and cheap white teeth then I'd recommend this. But if you have the money to get a higher prices strips then I'd recommend getting those instead. The strips fit on my top and bottom teeth easily. I recently quit smoking, so i have been trying to brighten my yellowed teeth. It said to do a treatment about once every three months. It really did help lighten my teeth and they have stayed whiter. They do leave a kind of weird film behind on your teeth, but nothing a good brushing wont take away. Whitens, affordable will buy again! The product has a top and bottom teeth whitening strips, they recommend to leave the strips on for no longer than 30 minutes. I saw my teeth to be notable whiter by day 3. There was some sensitivity on my bottom teeth, however, I love the price of this product compared to other more expensive brands. I will buy again! 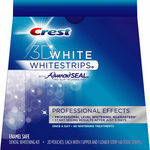 These Equate dental whitening strips provide average value. They do not seem to work as well as some of the name brand products, although they do cost less. For someone that does not need a lot of whitening or help for their teeth, then these can be helpful, especially at a lower price. But for someone who has very stained or darkened teeth, he probably needs to invest a little bit more money into a higher quality product that can give better results than this particular one. Effectiveness For lower stains or needs, then this product can be effective. But for someone who has darker teeth or have had problems for a longer time, he probably needs to find something better, as this may not be as effective for him as he would like. Convenience I have no complaints about the convenience of this product. Minimal Side Effects Personally, I have never had any negative side effects at all from using this product. That type of thing can certainly vary from person to person though, so one must always be aware of the possibility and warnings of potential side effects. 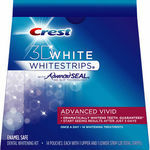 Equate dental whitening strips may cost a lot less than the leading name brands, but they are not nearly as effective. They are convenient to use, but I did not see a noticable change in the color of my teeth after using the whole box as instructed. I was very disappointed. Definitely not for me ! The only positive thing about the Equate Dental Whitening Strips is the cost. 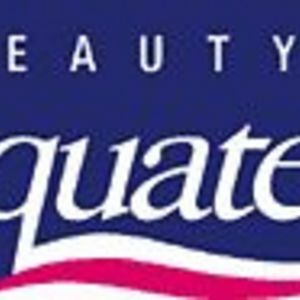 The Equate brand is carried by Walmart. 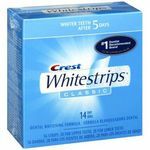 This brand is cheaper than most other name brand teeth whitening strips. It seems to be that whatever whitening strips I attempt to use I have to dry off my teeth first. Trying to keep the inside of your mouth dry so that the strips will stay on your teeth for the recommended amount of time is a bit of a challenge. It doesn't sound like much of a drawback but it is annoying and time-consuming. You're supposed to leave the strips on for half an hour. My gums became irritated and red after using the product just one time. The taste is simply dreadful. Your teeth yellow with the aging process. They become even more stained depending on whether or not you smoke, and eat or drink certain products. 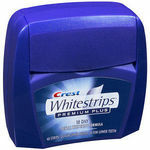 I think I will tolerate my off-white colored teeth before I use this product again. I only used the product one time and did not want to try again after that. There was no difference in the color of my teeth after trying it just one time. Effectiveness I only used the product once. There was no change. Convenience Using the product is time-consuming and annoying. Minimal Side Effects I had red, swollen, and irritated gums from using this product. Not so great - horrible taste. Equate Dental Whitening Strips were an inexpensive alternative to some of the other name brands. Unfortunately I didn't really care for them. They had a very strange taste to them and they made my mouth feel gritty. I still used them a few times before I decided no way. I didn't really see the results I was hoping for either. They did brighten my teeth a little but not like other ones that I had used in the past. They were easy to use which was a plus and they fit my budget but I just didn't feel they were worth the cost considering the less than stellar results I got from using them. The strips were thick and they seemed a little difficult to get placed correctly on my teeth, they also didn't stick or stay in place very easily. I was not happy with them and next time I will spend a little more and get a better quality product that really works. I feel like I wasted my money on these. I had an important presentation scheduled one day and was running low on funds so I stopped at the store and bought the store brand teeth whitening strips they had. I wanted to get that fresh out of the dentist white polished look but that did not happen. The strips would not stay attached for anything. I decided to use a towel and wipe away any kind of moisture off my teeth and try again but that still did not work. Any movement I would make with my mouth would be enough to make them fall off. I had to hold the strips on myself the entire time and was not surprised when I was done and did not see any results. I know that this is a lower price generic item but that does not mean that I want to pay money for something that will not work at all. I would definitely not recommend to others and suggest they pay the additional money to get an item that will do the job right the first time. I will never buy this product again and because it is a personal hygiene product, I could not return for a refund, what a waste of time and money. Effectiveness I did not see a difference at all. Convenience Not easy to use, I do not want a product that I have to hold the strips on for the entire time. Minimal Side Effects No side effects because I do not think it has any whitening product in it. Most likely just gel. I purchased these in hopes that they would be a decent tool to whiten my teeth, and while they did lift some stains, the side effects were very unpleasant and makes me not want to buy them again. While they are cheap in cost, you can tell that they are cheaper in quality compared to say, Crest. The trays for your mouth are awkwardly cut and the gel is loaded with hydrogen peroxide gel beyond what is needed. I would recommend saving your money and actually buying a name brand. Effectiveness Admittedly, my teeth were whiter, and it felt as though it was an obvious whiteness as well. Convenience These were anything but convenient. You need to wear the trays for at least 15 minutes for them to be effective, and it is indeed a very uncomfortable time. Minimal Side Effects Unfortunately, I had a decent amount of teeth sensitivity that resulted from this product. I didn't notice it as much at first, but it gradually became more intense the longer I used this product. The trays are also somewhat painful if the edges rub against your gums. Equate is much cheaper than Crest and that is definitely a plus. However, I wouldn't recommend these strips to a friend. It is necessary to dry your teeth off before you put these on, and keep a tissue in your mouth so you don't drool during the time they are in place. It is very inconvenient and uncomfortable. These strips don't stay on well, either. I feel as if I am not getting a thorough whitening because it doesn't go into the cracks between teeth, leaving those cracks looking gross! I even floss excessively to avoid this issue, but it cannot be resolved. I wouldn't recommend strips of any brand, but if I learn that Equate makes a brush-on or a gel, I would definitely be interested in the money saver!